Clean CarFax and title. Dealer maintained and serviced. Fully inspected. 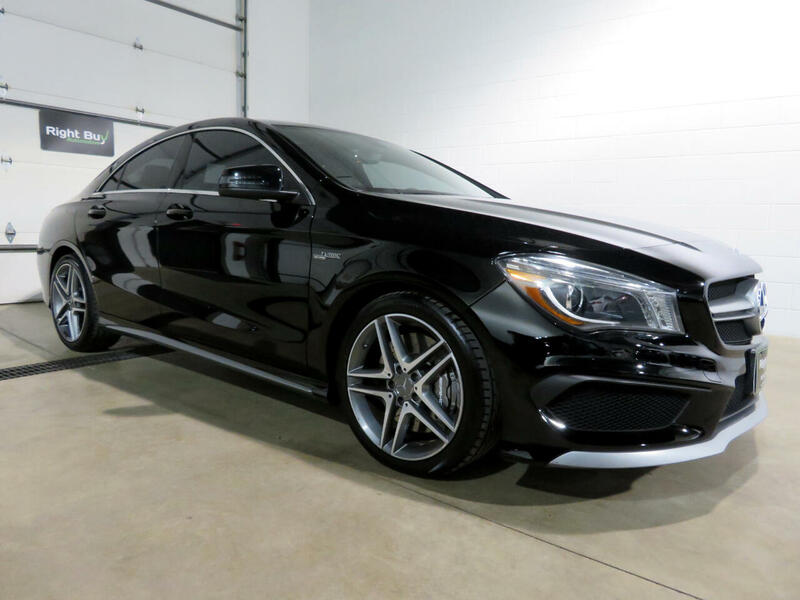 This CLA45 AMG features the Premium Package, Multimedia Package; Seat Comfort Package; Light & Sight Package and Sport Package. The heart of this Mercedes-Benz 4 matic is the 2.0L turbocharged direct injection inline 4 cylinder engine 355HP/332 lb ft torque mated to a 7 speed AMG SPEEDSHIFT DCT dual clutch automatic w/shift paddles; other features included are heated power driver and passenger seat with memory; dual zone automatic climate control; collision prevention assist; rain sensing wipers; sport suspension; attention assist; keyless remote entry; heated washer system; Burmester surround sound system; navigation; rearview camera; blind spot assist; panorama sunroof; black ash wood trim; classic red seat belts; rear deck spoiler; bi-xenon headlamps w/LED tailamps; 18" AMG twin 5 spoke wheels and much more. Every vehicle at Right Buy comes with a full inspection report CarFax vehicle history report affordable extended warranty options and low rate financing options. Set an appointment to view the vehicle in our heated indoor show room. 12 MONTH 12K MILE EXTENDED WARRANTY AVAILABLE FOR $1,525 OR 3 YEAR 36K MILE WARRANTY FOR $1,845.